MASSAPEQUA, Long Island (WABC) -- Police officers arrested a 39-year-old groom on fireworks possession charges at his wedding in Massapequa. When officers responded to a noise complaint about the wedding party on July 7, they found large, professional-grade fireworks belonging to Thomas Giglio. The Nassau County Arson Bomb Squad responded and secured the large amount of remaining fireworks. Officers found 49 pyrotechnic mortars, a pyrotechnic display cake and several firecrackers. Also recovered were various other spent pyrotechnic displays. 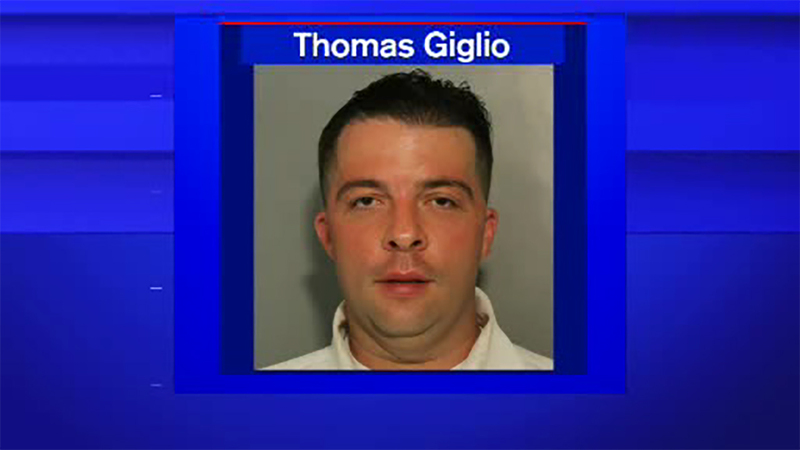 Giglio said the fireworks were for his wedding party, police said. His arraignment is scheduled for Saturday.